A Week in the Trees: Climbing Redwoods | Web Shui, L.L.C. Available in E-Book format only ~ On sale now at Amazon.com – Save Our Trees! 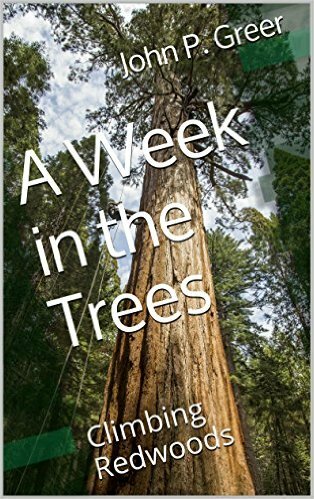 This high resolution, photo enhanced E-book offers an autobiographical and visual perspective into the Redwood climbing experience. On the outskirts of Kings Canyon National Park, east of Fresno, is an area known as Whitaker Forest. Owned and operated by U.C. Berkeley, on the western facing slopes of the Eastern Sierras, this is home to some of the largest and oldest Sequoia-Redwood trees on earth. An expedition from Cornell University took eight instructors and six students, myself included, to our cabin in Whitaker Forest for the week of May 26, 2015, to June 2, 2015. For me, this Redwood tree climbing adventure was a culmination of life and spirit. I knew all the preparation and physical training would transform me into a stronger, more vibrant and healthier person. I embarked on a journey that originated in my heart, acting on blind faith, without knowing exactly where, or how, this journey might end. What I soon discovered would forever change my life and my ongoing relationship with nature.